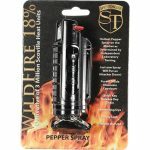 The Wildfire 1/2 oz. 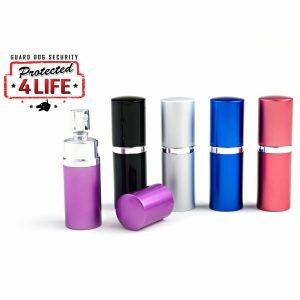 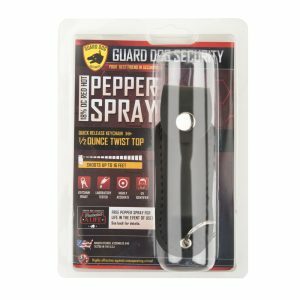 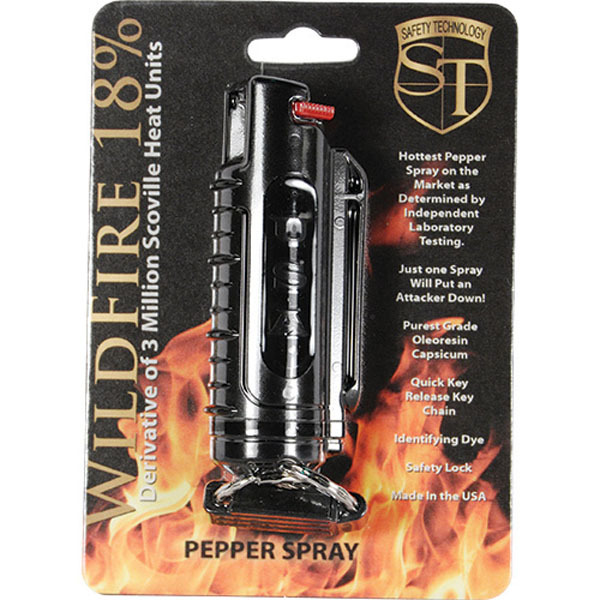 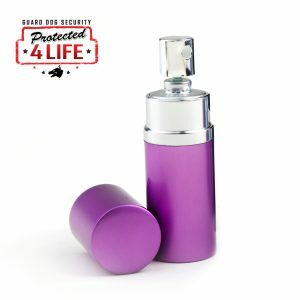 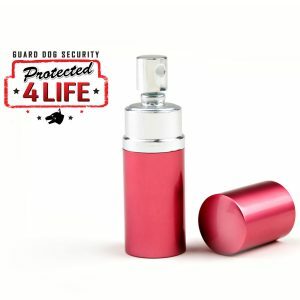 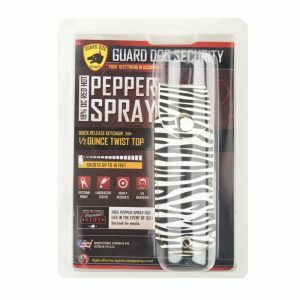 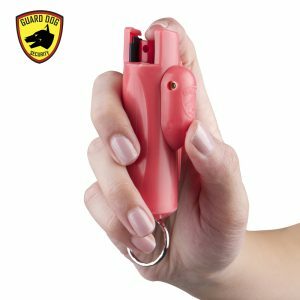 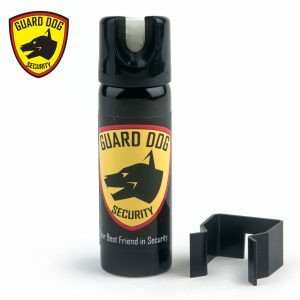 Pepper Spray has a range of 6-8 feet. 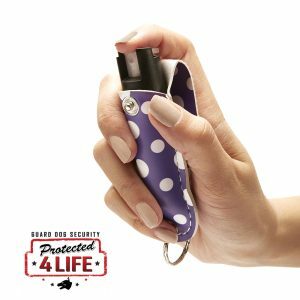 It comes with a colored injection molded poly holster. 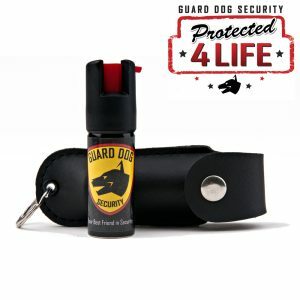 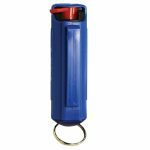 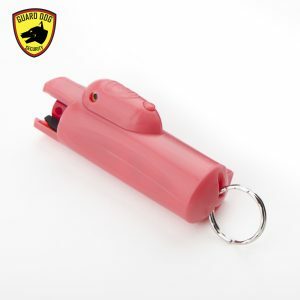 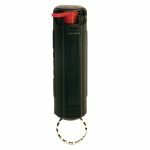 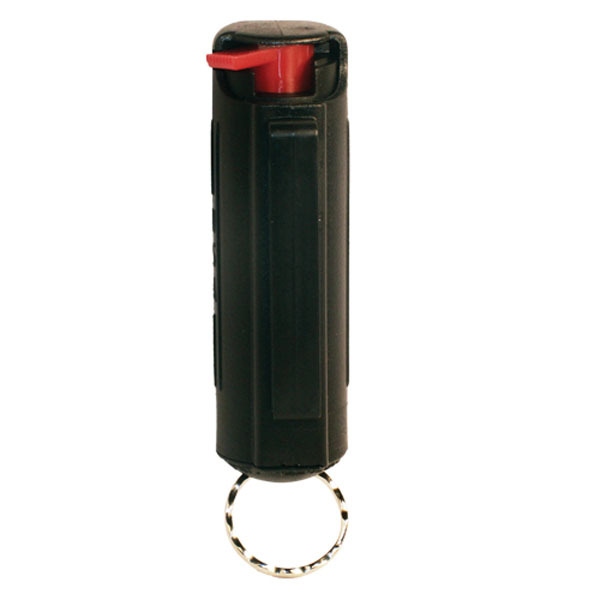 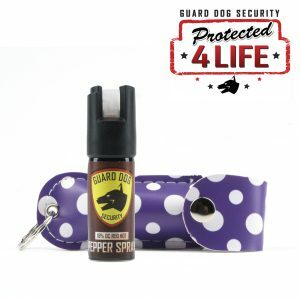 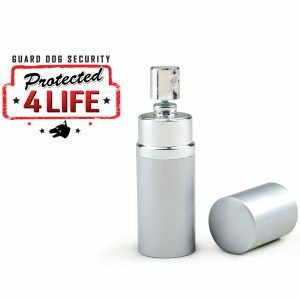 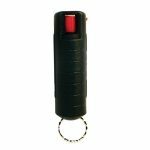 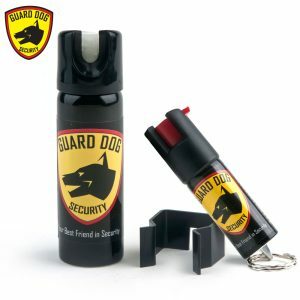 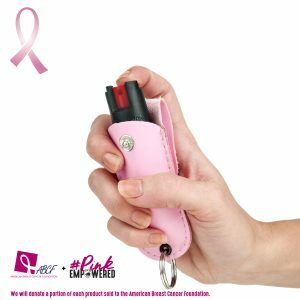 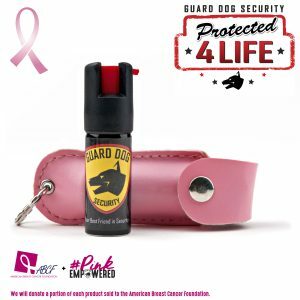 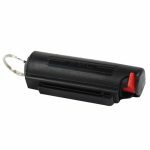 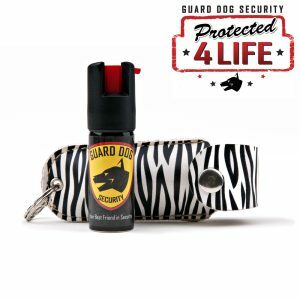 Each unit provides 6-10 one second bursts and comes with a belt clip, key chain, and safety lock.